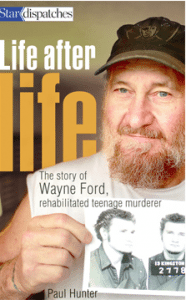 Life after Life: The Story of Wayne Ford, Rehabilitated Teenage Murderer by Paul Hunter and That Polio Season: Lt.-Gov. David Onley and the Epidemic of 1953 by Jennifer Wells are both nominated in the flowable ebook category for adult non-fiction. Both were published via Star Dispatches, the newspaper’s weekly e-story subscription service. The winners will be announced at the Digital Book World Conference & Expo, which takes place Jan. 14 in New York City.